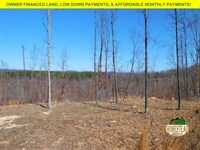 Parcel with nice clearing, new pond, near the national forest. 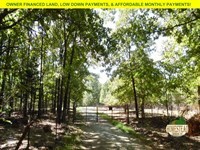 $250 per Month with $2,000 Down payment. Total purchase price: $27,900. 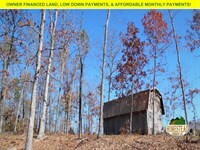 This parcel is an ideal piece of land for a new homestead or an off-grid cabin. 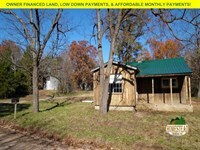 The property is located near Thornfield, Missouri; a tiny town with a population of 407(As of 2016). Thornfield is a town that has thrived on cattle farming, so expect to see thousands of acres of rolling pastures from the view of your new property. 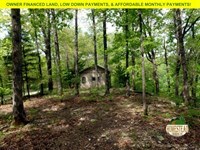 The land sits higher in elevation than most of the surrounding territory. This topography provides plenty of outstanding views and direct sunlight, which would be perfect for a solar power setup and a sustainable garden. 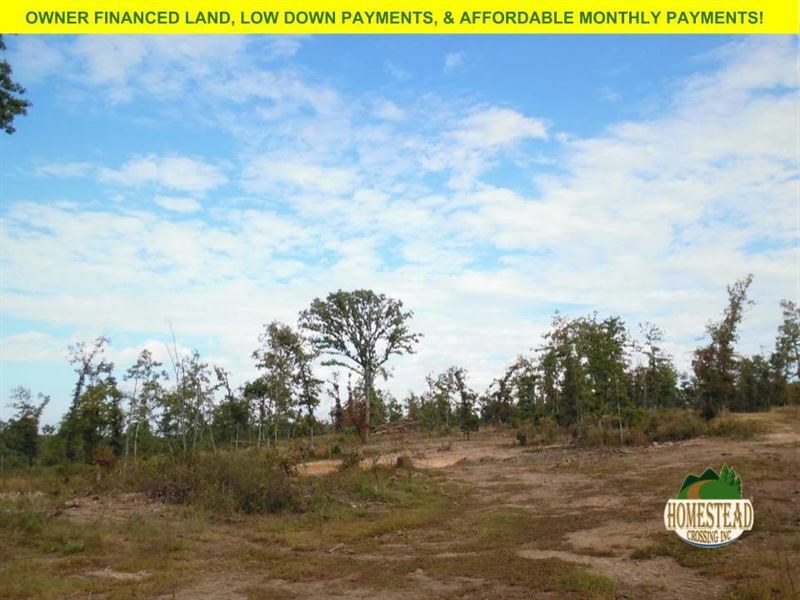 The terrain is varied and goes from a slightly lower elevation at the South-end of the property to a somewhat higher elevation toward the middle before leveling out and dropping down towards the North-West side to expose the beautiful views. 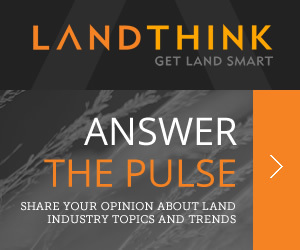 The land would be great if used as a small farm or pasture. The bulk of the land runs almost true North to South. The property lines and corners will be marked as seen in the pictures. 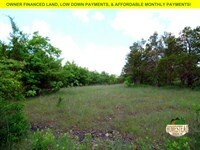 There is an easement road off of County Road 873 that provides legal access to the property. 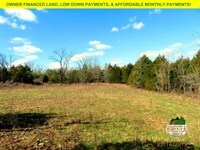 The parcel has a nice sized clearing for your new home or cabin and a freshly dug pond that should fill up very quickly with plenty of rain in the forecast for the Ozarks. The Mark Twain National Forest is spread-out all over Missouri. The picture-perfect forests provide thousands of acres of public use land that is open for hunting, foraging, fishing, hiking, and exploring. 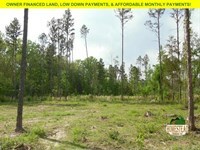 The national forest is just a short walk from this property. Check the Missouri National Forest website for full details of all the activities, trails, camps, wildlife, and amenities provided in this area. Theodosia, Missouri is a short drive down the road and is the easiest access point for Bull Shoals Lake. This lake is comprised of 45,000 acres stretching from Southern Missouri down into Northern Arkansas, with an average depth of 75 feet. The high rock bluffs of Bull Shoals are beautiful and great for diving (at your own risk). Theodosia Resort and Marina is a lovely marina that offers several boat launches, boat slips, picnic areas, a restaurant, and parking. Directions from Thornfield, Missouri: Once in Thornfield, Missouri - Head west on MO-95 S toward State Hwy JJ 4.2 mi Turn left onto Co Rd 873 Continue on Co Rd 873 for 2.6 mi Look for ribbons tied in the tree on the left to mark the easement road. Thornfield, MO 65762. 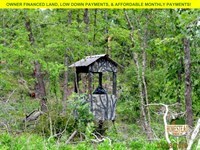 When calling owner, please say, "I found your listing Large Clearing, New Pond on FARMFLIP."